Holiday Package Deals | Taipei: 4D3N stay at East Dragon/ ECFA Wan Nian/ Rainbow Hotel with Return Flights, Transfers & Tour! 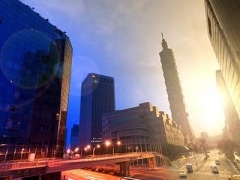 Taipei: 4D3N stay at East Dragon/ ECFA Wan Nian/ Rainbow Hotel with Return Flights, Transfers & Tour! East Dragon Hotel was established in the year 1967.Situated in the heart of the Xi-Men-Ting area, and easily accessible by public transport including the Xi-Men Subway Station, East Dragon Hotel has more than 100 guest rooms. Ecfa Hotel Wan Nian, lies in the most popular district of Ximending Shopping Area in Taipei City, Wannien Commercial Building. It only takes seven minutes walk to the Ximending MRT station. Ximending is a popular entertainment attraction among Taipei’s young people, gathering everything that is fun or delicious. No matter you are here to shopping, watching a movie, singing, going to a concert, book store, or have some yummy cuisines, Ximending has more to offer. Besides the renowned Red House Theater, you could also choose to take a bus or MRT or walk to Taipei Main Station Shopping Area. The nearby Shin Kong Mitsukoshi Department Store, 3C computer products mall and MRT underground malls are places where you could enjoy shopping. At the same time, you could as well take a bus to Yamingshan, National Palace Museum or take an MRT to the Chiang Kai-shek Memorial Hall, Shilin Night Market, Danshui, Beitou and many other must-go famous tourist hotspots in Taipei. Every suite in Ecfa Hotel has been designed with different themes. While the deco design is simple, it is also filled with match bright colors, adding a touch of chic style. Whether you are here for a business trip or travel, you would definitely have a wonderful accommodation experience. We will provide the most thoughtful services and the most convenient transportation. Welcome to experience all these carefulness and dedication. The Rainbow Hotel is a legal-operating licensed hotel, with fire and emergency facilities certified by the Taipei City Government. In addition to safety, the hotel's spacious environment, all necessities and friendly services meet the needs of international travelers in town for business or for a relaxing vacation, making your stay at the Rainbow one of life's best and the must unforgettable experiences.